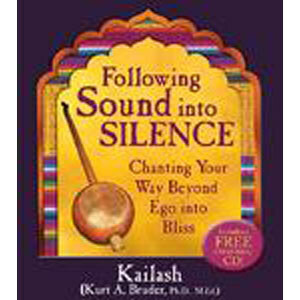 In Following Sound into Silence, Kailash (Kurt A. Bruder, Ph.D., M.Ed.) 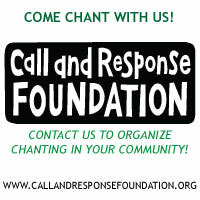 urges us to take up chanting as an authentic and effective spiritual practice. Although this is an ancient spiritual tool, it’s well suited to our contemporary lifestyle. No generation before us has had to contend with the onslaught of voices clamoring for our attention, the chaos of distractions vying for our imagination and allegiance, or the flood of information that is our daily lot. Kailash shows how chanting—both alone and with others—can quiet and stabilize our mind, expand our heart, elevate our emotion, and reduce our self-centeredness . . . yielding a direct, sustained experience of the Divine. Accompanied by a CD featuring Kailash’s extraordinary chanting, this work demonstrates the potency of this practice in a presentation that’s as profoundly moving as it is eminently practical. 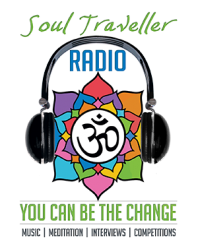 You’ll understand why people across the centuries and around the world have employed chanting as their principal resource for cultivating well-being, personal transformation, and spiritual evolution.